SPRING HILL, Fla. — The Pasco County Sheriff's Office is investigating after a man was found dead in the driveway of a Spring Hill home. Deputies say, James William Earl, 32, was found dead by his fiancee at 14838 Glenrock Road from a gunshot wound. Detectives say Earl is a member of the "Pagan Motorcycle Club." 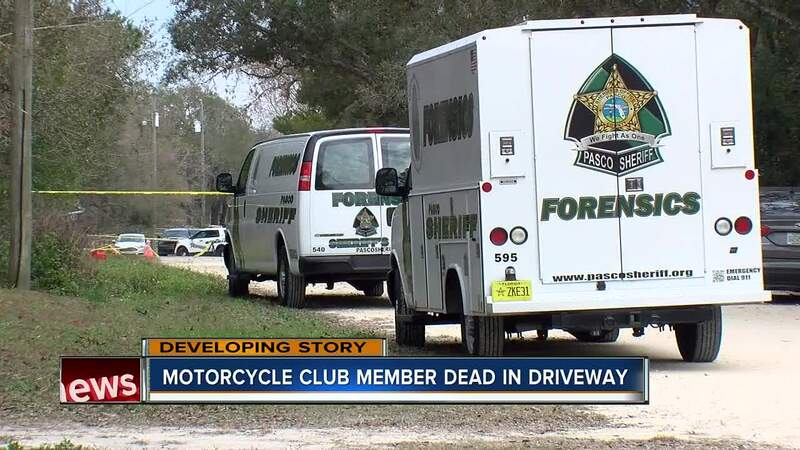 Authorities say the motive for the crime, including any connection to the motorcycle club's activities, is unknown at this time. Pasco County Fire Rescue called the sheriff's office after finding the dead man when responding to the scene on a medical call around 6:52 a.m. Wednesday morning. 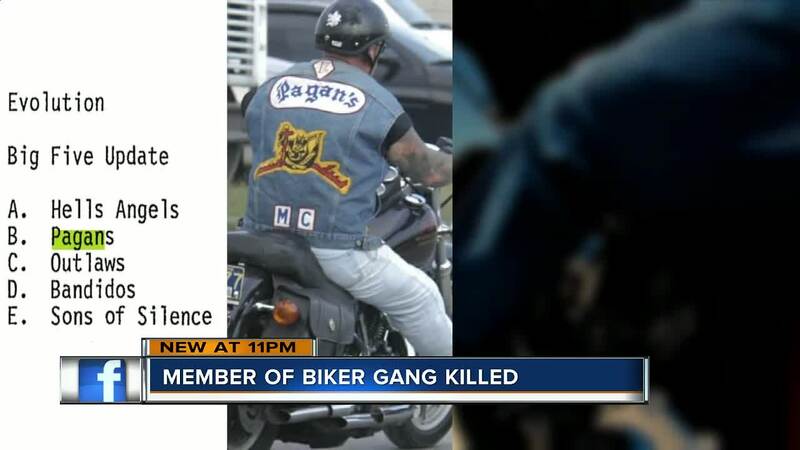 Earl is the second member of a biker gang to be murdered in Pasco County. The sheriff's office said Anderson was driving a pickup truck when two suspects on a motorcycle pulled up and got off the motorcycle. One suspect tapped on the window of the pickup truck to get the attention of the victim. The suspect fired several shots and killed the victim in his vehicle. Three men in a rival gang are in custody awaiting trial in Anderson's shooting. They were identified as members of the "69ers" motorcycle gang. Law enforcement arrested Michael Mencher, known to the biker gang as "Pumpkin." Mencher was wearing a Nazi helmet at the time of the shooting. Mencher was arrested with the help of Tampa police. Allan Guinto, known to the biker gang as "Big Bee" was arrested in Pinellas County. Pasco County Sheriff Chris Nocco says Guinto was the driver of the "scout car." Nocco says Christopher Brian Cosimano "Durty" was identified as the shooter by ATF officers, and he is the president of the "69ers." The Department of Justice officially lists seven major motorcycle gangs (MCs) as “criminal enterprises” nationwide. The Outlaws and Pagans top that list and frequent national headlines with their involvement in drug trafficking, arson, and even organized murder. The Pasco Sheriff's Office urges anyone with information related to the recent murder of Earl are asked to call the Pasco Sheriff's Office tips line at 1-800-706-2488 or Crime Stoppers of Tampa Bay at 1-800-873-TIPS. Crime Stoppers of Tampa Bay is offering a reward of up to $3,000 for information that leads to the identification and arrest of the unknown suspect(s) involved in this case.